Living in the digital age can have its downsides. With smart technology popping up everywhere – from watches and phones to TVs and even fridges – it can seem as though you’re constantly plugged in. The ability to access emails on your mobile can make it feel like you’re on deck 24/7, while that ever-present FOMO factor can easily swamp you in a sea of social media updates. But while technology may appear to be adding even more stress to your life, smartphones are also revolutionising the art of feeling zen. Meditation and mindfulness may be the buzz words of the moment, but it’s not always easy to know how to disconnect and destress. Yoga has always been a popular option, with its focus on deep breathing and slow movements. More recently, there’s been an explosion of adult colouring-in books on the market, with every stroke of your pencil designed to focus your mind on the moment at hand. There’s no doubt taking the time to unwind properly can have positive impacts on both your mental health and physical health too. According to Associate Professor Dr Craig Hassed from Monash University, practising meditation and mindfulness can help people with chronic depression, give us better immunity, reduce inflammation in the body, relieve the cardiovascular system of stress and turn down the level of bone-thinning sscortisol. Being mindful is also said to slow down the rate of ageing! While it sounds like a complete contradiction, the answer to destressing and enjoying a sense of calm could be to go online. There are countless apps available to download that can teach you the basics of mindfulness, or take you through a guided meditation, in as little as three minutes. Adults are not the only ones turning to technology in their search for ‘app-iness’. In Australia there is an increasing focus on the anxiety levels in children of all ages. One major government study revealed that almost one in seven (13.9 percent) 4–17-year-olds experienced a mental disorder within a 12-month period, with anxiety and depression among the most common issues. School counsellors and teachers are now exploring ways of integrating mindfulness and meditation into their classroom content using a variety of apps. While an online search of meditation apps brings up countless results that you can try, here are a few of the most popular apps for iPhone and Android users, which offer both free trials and paid subscription options. Created by UK meditation guru Andy Puddicombe, Headspace is a digital platform used by millions of people in more than 190 countries around the world. Promoted as “meditation made simple”, it offers a free 10-day beginner’s course that guides you through the essentials of meditation and mindfulness in a series of 10-minute sessions. Once you’ve finished the basics pack, you’ll be asked to subscribe to continue accessing content. This includes dedicated Headspace for Kids content with visualisation exercises focussing on five themes: calm, focus, kindness, sleep and wake up. Also designed for both adults and children, Smiling Mind was created by Melbourne-based co-founders Jane Martino and James Tutton who were looking for a practical, modern way to teach their own children the skills of meditation and mindfulness. It is developed by psychologists and educators to help bring balance to people’s lives. The free app offers hundreds of guided meditations and mindfulness activities broken up by age brackets for children; additional programs focussing on adults; regular sports training; and modules for the classroom and workplace. There’s also an app developed in collaboration with beyondblue to support couples as they prepare to become new parents. Promoted as the number one app for mindfulness and wellness with more than 26 million downloads, Calm was named Apple’s 2017 App of the Year, while also receiving the Editors’ Choice by Google Play in 2018. Founded by British entrepreneurs Michael Acton Smith and Alex Tew in 2012, Calm offers a series of meditations varying in length from three to 25 minutes. You can download the app for free and access a range of content including a Seven Days of Calm program; relaxation and breathing exercises; sleep stories for adults and kids; as well as more than 25 soothing nature sounds. A premium subscription option unlocks a host of regularly updated features such as a series of seven and 21-day themed programs, guided meditations and sleep programs. 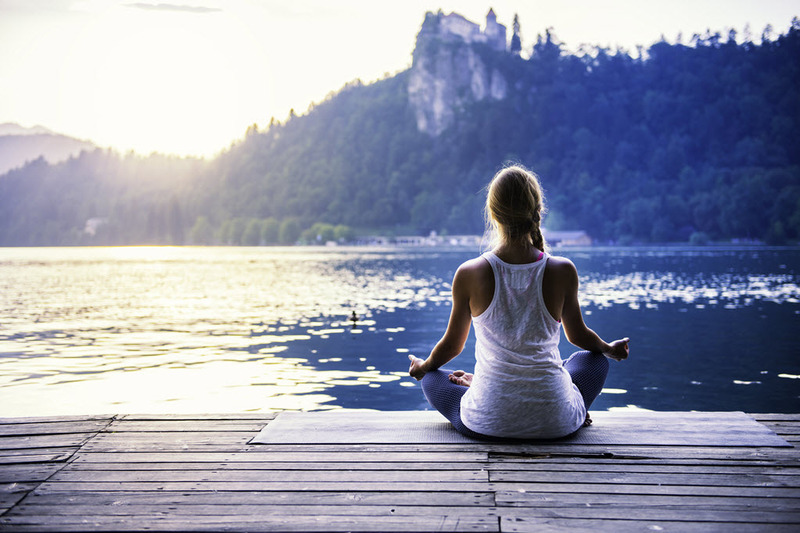 Learning the art of meditation and mindfulness is an excellent way to unwind at home. However, if you are struggling with your stress levels or need support for mental health issues, you should always seek further medical advice from your GP.